Internet Archaeol. 40. Evans. A Reassessment of Archaeological Grey Literature: semantics and paradoxes. Summary. This article takes a fresh view of unpublished archaeological reports, common in archaeological practice in England since the advent of PPG16. Although these reports are almost ubiquitously referred to as 'grey literature', they are but a facet of a larger corpus of publication and dissemination techniques used by the archaeological community. 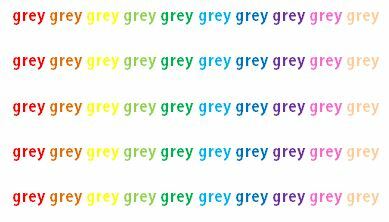 It is argued that the term 'grey' has become synonymous with a liminal status and inferior quality that is in fact contrary to the realities of the increased online publication of fieldwork reports. The article also considers the current upsurge in research projects and academic theses using fieldwork reports, and highlights the necessity that findings from research are fed back into the curatorial sector and baseline data to inform all aspects of archaeological work rather than isolated in published literature often unavailable to those outside of academia. Finally, the article argues that although the challenge of increased access – via the web – is being met, this is not consistent across the country, leading to lacunae in the information landscape. Furthermore, as the number of online reports grows into the tens of thousands there is a need for greater sophistication and archaeological context in the accompanying metadata, to aid classification and reuse.